Without You Doing Any Repairs! Thinking "Sell my House fast!" or "Buy my house fast"? 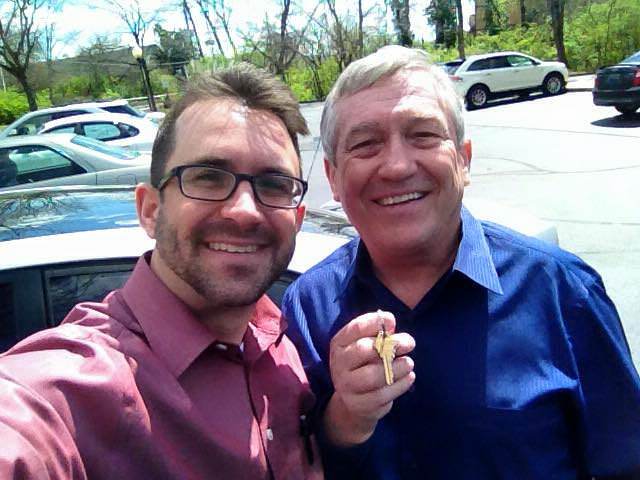 We Buy Houses in Louisville, KY and Southern Indiana! NO COMMISSIONS! NO FEES! NO OBLIGATIONS! Ready to Sell A House Now? Click the "SELL NOW" Button Below! Want more information?, fill in the "Get Free Report!" Have a question?, use the "Contact Us " form below. Do you own an unwanted house, rental property, inherited home, or land and need to sell now? Are you buying another house, downsizing, retiring, transfering or moving away and need to sell quickly? Have you tried the For Sale By Owner, FISBO options, or a Realtor and your "House for Sale" did not sell? We work with good folks in all types of situations and can provide a solution for you too. If your property is in need of repair, clean up, updating, or a little ugly, we can buy it "as is" so you have no hassles or bills to pay. When you deal with us there is no lengthy inspection process or "Fix It" list!. Our pride of ownership in this community and our desire to help people with their real estate needs shines through in the service we hope to provide you. Abundance Homes is a local family real estate investment company, active since 1996, who buys houses, apartments, and land. We buy Louisville and Metro area houses in any price range, in any condition, and in any area. We work with folks in all kinds of situations. We specialize in creating win-win solutions for sellers. We can often give the seller a choice of ways we can buy their house. No matter what reason you have for selling, no matter what condition the property is in, and no matter when you would like to close, we can usually provide a fast solution. Simply fill out the online contact page, a link is below, and we will call to review and evaluate your property, and then provide you with an offer without delay. The sooner you tell us about your property, the sooner you can be relieved of the stress the property may be creating for you. We work with the Metro area's leading real estate attorneys with a proven record for working through title and deed issues for fast, accurate closings. If you're ready to sell your house, we are your solution. Fill out the "Contact Us" form now! We look forward to working with you and creating a good solution soon. "Abundance came out to see my house in under 24 hours, gave me an offer just a day later, and we closed a week later. Wonderful job guys!!" Thank you for considering Abundance Homes. We are a Real Estate Investment Company providing win-win solutions for people who have decided to, or need to sell their property. We can close on the date of your choice, so if you need to settle quickly, we're able. If you are more flexable, we can work out an agreement suited to your needs. We are also open to owner financing, short or long term, when possible. Ready to Sell A House Now!!! Click the "SELL NOW" Button Above! Fill in the "Get Free Report" area for more information! Still have a question, use the "Contact Us " form below. Thank you for your interest in selling your house fast for cash with Abundance Home Buyers. We look forward to working with you. Please feel free to contact us using the form below. We will receive your message immediately and respond as soon as possible. Please don't forget to fill out your contact data below to give us the info we need to evaluate your property and situation. This is the fastest way to sell your house.